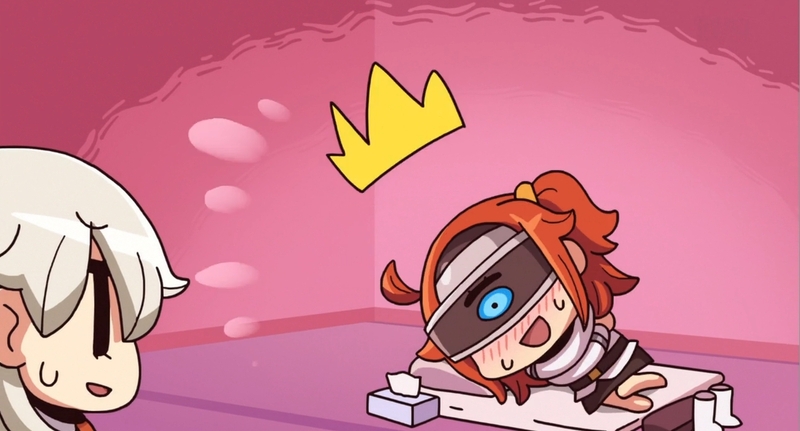 Fate/Grand Order just recently debuted a new addition its story with the opening of the Epic of Remnant expansion the other day, but that doesn't mean people with the wisdom not to play the game are left out in the cold. Aniplex have something for owners of PS VR headsets, in the form of the English debut of Fate/Grand Order VR feat. Mash Kyrielight, which is available now for the low price of free on the PSN store. Best regarded as a short experience than any kind of full game, Fate/Grand Order VR contains a set of skits starring FGO heroine (and Strongest Kouhai), the Shielder-class Demi-Servant Mash Kyrielight. A second scenario, previously exclusive to Japanese PS Plus subscribers, features OG Saber herself, Altria Pendragon. The whole thing's been out for a while for Masters with their own Japanese PSN accounts, but it's worth noting that the English release comes with the Altria scenario as well as an English-language dub courtesy of actresses Erica Mendez (Mash, Konosuba's Megumin), and Kari Wahlgren (Altria, Durarara!! 's Celty). That's good because even Japanese audio purists might find it a bit difficult to read subtitles in a VR headset. Even folks without a VR headset can benefit, as new free themes and avatars have also been added to the PSN store in commemoration of the release.